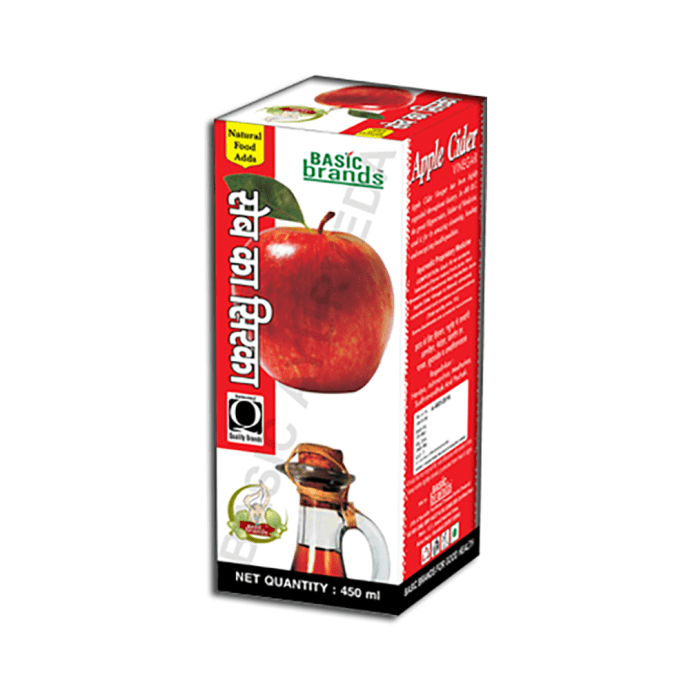 Basic Ayurveda Apple Cider Vinegar is naturally fermented , unheated, unpasteurized with delicious himalayan apples and contains no preservatives. It is loaded with potent antioxidants like vitamin C, vitamin E, vitamin A, B-complex vitamins, bi-flavonoids, acetic acid, enzymes and minerals. It promotes good health and well being. It help prevent weight gain. It helps to remove tomach ulcer as well as kidney stone. It helps to reduce body cholesterol. It helps to relief in chronical pain. It works in gout as well. Take 15-20ml thrice a day with water.